Disney Infinity and John Vignocchi have officially announced the Disney Infinity: Toy Box 2.0 Edition Digital download will be coming November 4th. Here are some quick bullet points. Will be available for Xbox 360, Playstation 3, Playstation 4, and Wii U. The Xbox One will not be getting a digital edition at this time as you will need a new base no matter what system you are coming from as the Xbox One has a new security chip in the system. Will be available on the digital stores for $29.99. For a limited time, you can purchase it for $19.99 on the Playstation Network and Nintendo eShop. With the launch of Disney Infinity: Marvel Super Heroes (2.0 Edition) next week, I want to share some exciting news about the digital option for existing console players of Disney Infinity. 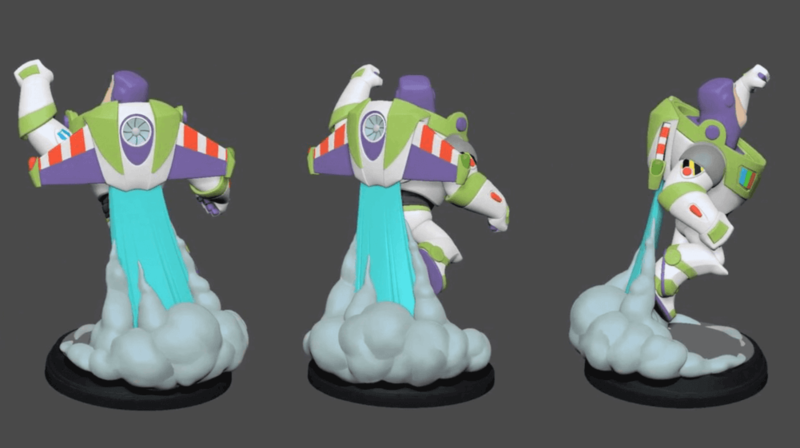 You may remember that during our announcement event for the 2.0 edition of the game in April, we revealed that the Disney Infinity base from the first version of the game will be compatible with this year’s version. Our thinking was simple: We’ve completely re-tooled the best aspects of the game, with a huge emphasis on the Toy Box mode. For those of you who have been fans since the beginning and spend most of your time building in the Toy Box, we wanted to make it easy for you to enjoy the 2.0 Edition experience, without having to purchase a new Starter Pack. Starting on November 4, fans will have the option to digitally download Toy Box 2.0 on their PlayStation 3, PlayStation 4, Xbox 360 and Wii U systems and utilize their existing Disney Infinity base, along with all figures and Power Discs from the first edition in this all-new Toy Box. The download will be available on PlayStation Network, Xbox Store and the Nintendo eShop with a suggested retail price of $29.99. For a limited time, the download will be offered on PlayStation Network and the Nintendo eShop for an introductory suggested retail price of $19.99. We’re launching this digital option on November 4 because that’s when all 2.0 Edition Play Sets will be available for individual purchase. It’s also when the Disney Originals series becomes available, significantly expanding the 2.0 character roster, so we believe this is the best timing for the a la carte consumer. There will also be a special offer for players in North America: anyone who purchases a digital download of Toy Box 2.0 will receive both Disney Toy Box Game Discs (Stitch’s Tropical Rescue and Brave Forest Siege) at no additional cost for the discs. This offer will be available for a limited time, while supplies last. We will share additional details on this program as we get closer to launch of the digital download in November. What does this mean for parents and gamers? It means the ability to pick and choose whatever combination of figures and Play Sets their heart desires and endless possibilities in how they want to play Disney Infinity. For example, if players own the first edition but are only interested in Toy Box 2.0 and adding Rocket Raccoon and Stitch to their collection, the digital download would be for them! While most people will likely choose one of the retail Starter Packs to begin their 2.0 Edition experience, it was important to us to keep Disney Infinity infinite and satisfy every combination possible with a wider set of options for the holiday season. We are unbelievably excited for you to get your hands on the next edition of Disney Infinity and can’t wait to see what worlds you create! Still need to pre-order? Check out our ‘Shop’ page! And don’t forget to check out those Amazon Value Bundles! We are on Facebook, Twitter, and Instagram! Give us a follow to stay up to date!